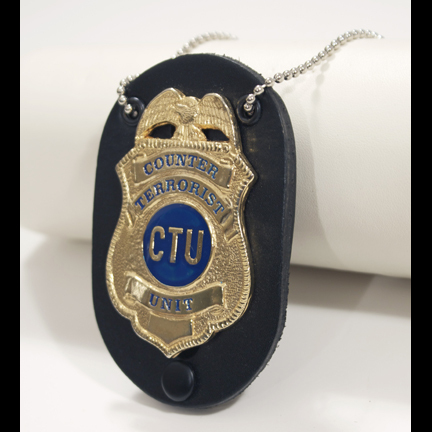 This gold “Counter Terrorist Unit” (CTU) badge was worn by the character “Jack Bauer” portrayed by Kiefer Sutherland in the iconic television series “24”. 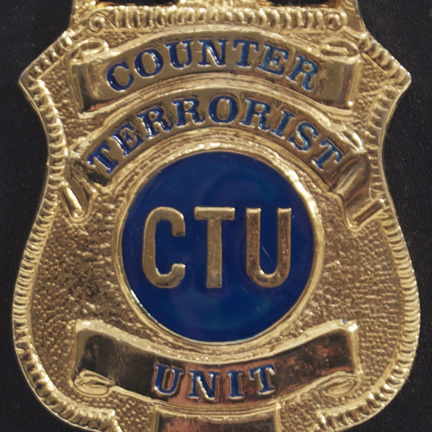 The gold colored badge or “shield” with eagle motif at the top has engraved blue lettering reading “Counter Terrorist Unit” and round “CTU” logo in the center. 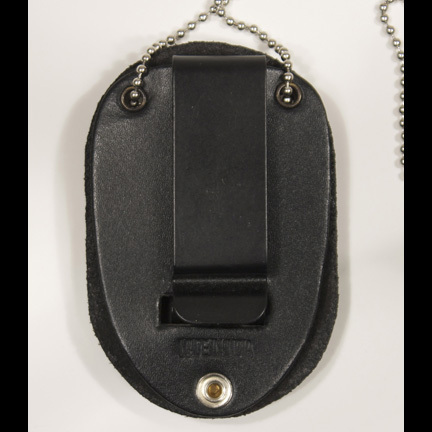 The badge is mounted on leather backing with metallic chain at the top for wearing around the neck. 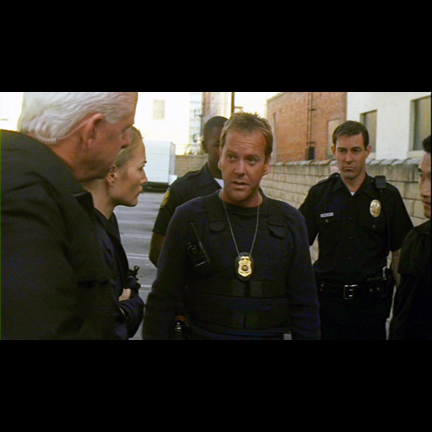 This particular badge is one of a limited series of “Hero” badges that were all worn onscreen by the Jack Bauer character during different episodes throughout the first six seasons of the show. 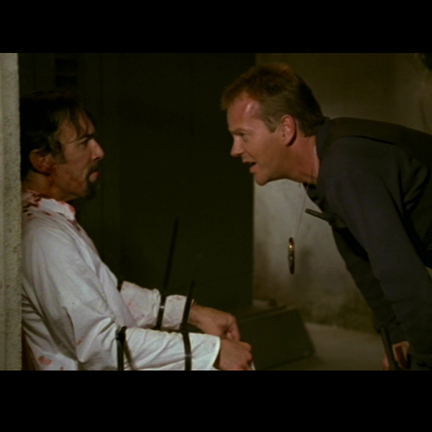 In the plot lines following Season Six, Bauer’s CTU Los Angeles office is disbanded and absorbed by the Department of Homeland Security and Jack ends up working for the FBI in Season Seven. 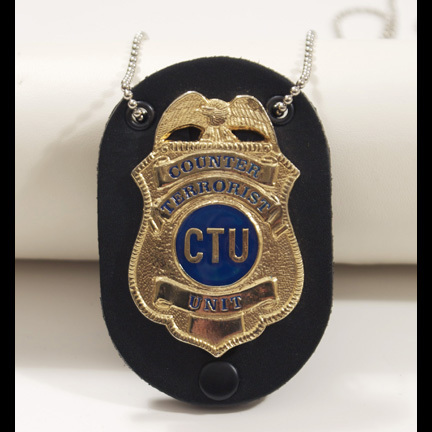 By Season Eight Jack is transferred to CTU New York but no longer appeared wearing this style badge, making this a rare signature Jack Bauer collectible from the series. 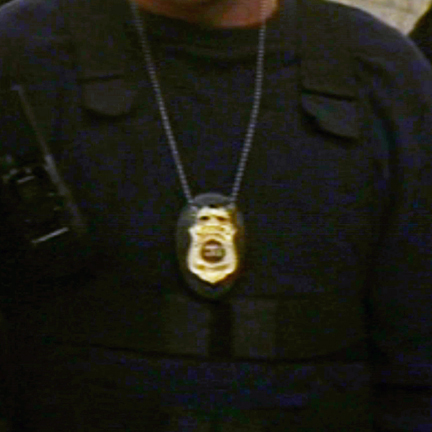 Apart from its use in the series, the actor may also be seen wearing this style badge in the book “24: Behind The Scenes”. The badge and leather backing are in good screen worn condition with some minor evidence of wear from their use on the show.